Counterterrorism squads have prevented 230 suspected jihadis from departing Australian airports for the Middle East this month, including at least three teenage boys, officials said today. Officials had previously announced that two Sydney-born brothers, aged 16 and 17, were intercepted at Sydney International Airport on March 8 attempting to board a flight for Turkey without their parents’ knowledge. The siblings were returned to their families and were to be charged. Within a week, a 17-year-old boy was intercepted at the same airport on suspicion that he was headed for a Middle Eastern battle, Border Protection Minister Peter Dutton said today. The boy was also returned to his family, but remains under investigation, Dutton said. Since counterterrorism units were attached to eight Australian airports in August, 86,000 travelers have been questioned and 230 people prevented from flying on suspicion that they were headed for the battlefields of Iraq and Syria to fight with groups including Islamic State, Prime Minister Tony Abbott told Parliament. Experts disagree about why Islamic State had been so effective recruiting in Australia, which is widely regarded as a multicultural success story, with an economy in an enviable 24th straight year of continuous growth. 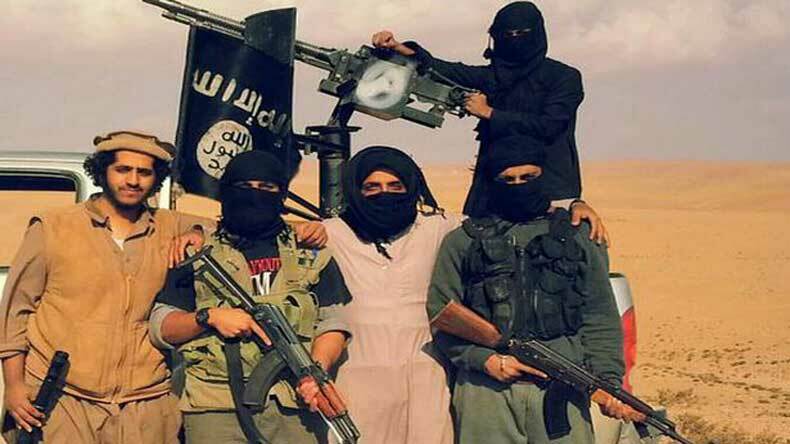 The London-based International Center for the Study of Radicalisation and Political Violence reports that between 100 and 250 Australians have joined Sunni militants in Iraq and Syria. The center estimates that about 100 fighters came from the United States, which has more than 13 times as many people as Australia. Abbott said his government was investing more on border security and on countering extremism. “It is absolutely critical that the people of Australia appreciate that the death cult is reaching out to vulnerable and impressionable young people,” he said, referring to the Islamic State group. Sydney’s The Daily Telegraph newspaper reported this week that the Islamic State group posted on a social media website on March 14 two days after the latest 17-year-old was intercepted a step-by-step guide to help would-be jihadis leave Australia and fight with the terror group. The guide included advice on how to use an Islamic State support network and slip through security cracks, the newspaper said.